South Essex Pump it Up! ...or down in our case! Pump it Up! ...or down in our case! The autumn period on the South Essex Reserves has been unusually mild and dry compared to recent years. This as it happens, has been somewhat of a bonus to the South Essex Reserves team as we have been recovering from some of the effects of last years very wet winter. 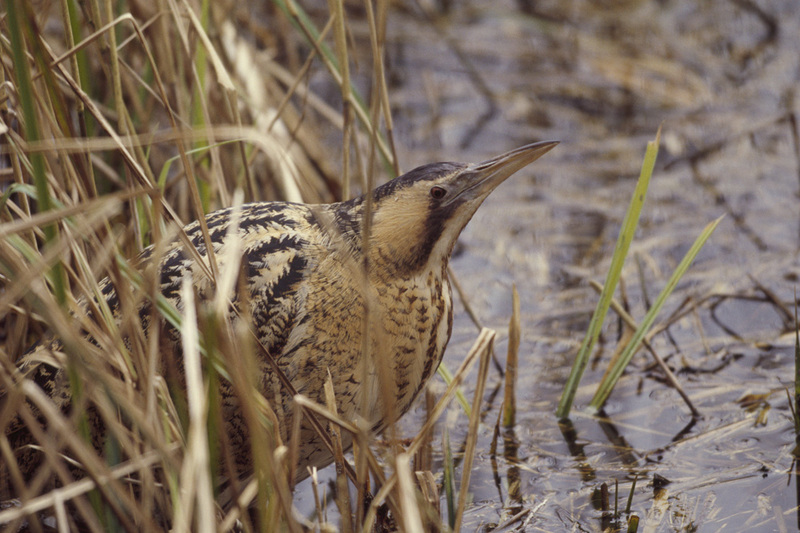 Visitors who enjoy the sights from the Bird Hide in Wat Tyler Country Park overlooking Pitsea Scrape will notice the appearance of islands for the first time in well over a year; visitors are not the only thing enjoying this area; as we have recently had two Bittern enjoying this small lagoon. The winter weather not withstanding, we are planning to keep the water levels low on this area, flooding the islands for a short period to stunt re-growth and drawing them down for spring. Our larger reserves such as West Canvey Marsh, Bowers Marsh and Vange Marsh will now have their water levels raised respectively in accordance with our regular management for these sites, this will benefit many overwintering species and hopefully the sight of hundreds of Widgeon and Teal amongst other birds will be a regular spectacle on at South Essex this winter once again, and keep a look out for the Short-eared Owls on West Canvey and Bowers Marsh!